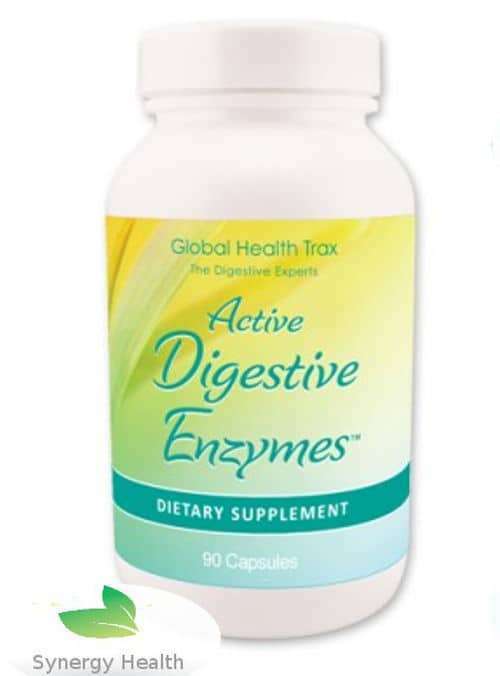 Active Digestive Enzymes give you a whole world of essential digestive enzymes in one capsule. provides you with Protease- which helps to break down undigested proteins, meat etc. 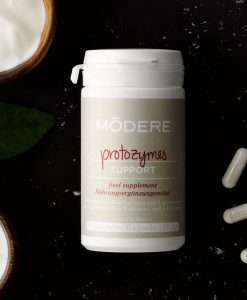 delivers you Carboydrase- this enzyme is needed to breakdown carbohydrates of all types. 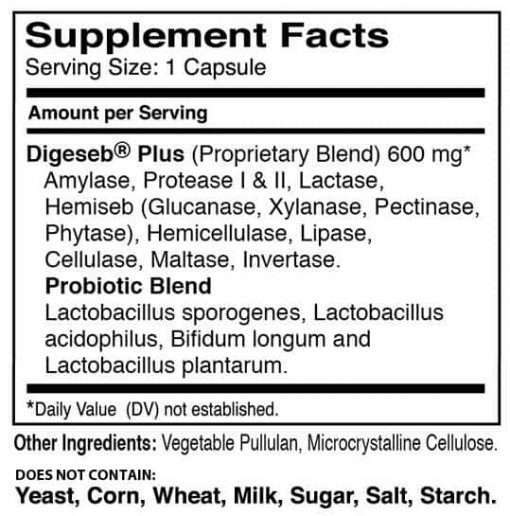 also contains Lipase- which aids the breakdown unwanted fats/oils in the body. supports you with Cellulase — cellulase gives you the one enzyme the body cannot produce — assistance with fiber. 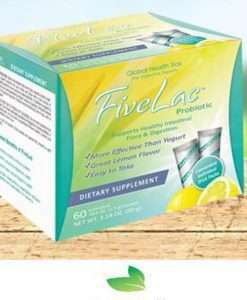 Global Health Trax purchases the finest enzyme raw materials and carefully blends them with probiotics to bring you one of the finest full spectrum enzyme blends for the purpose of digestion, but to also partner with ThreeLac™ to give the body more of what it needs to get back the balance of power that is needed to keep candida and other organisms in balance. 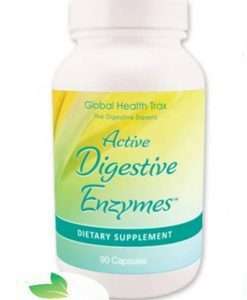 Active Digestive Enzymes has 17 ingredients, all designed to break down your food and may help you enjoy more foods with fewer unpleasant consequences. Many people enjoy dairy, spicy food and live their lives without having to avoid their favorite meals. Protease is such an important enzyme. Without it you’ll be unable to digest the proteins you eat, such as fish, meat, chicken, eggs, etc. If your digestion of proteins is incomplete, undigested proteins can wind up in your circulatory system and cause allergenic difficulties. Carbohydrase helps to digest carbohydrate substances, such as flour and sugar products. If you are sensitive to wheat or suffer from gluten intolerance, you’ll fall in love with what Carbohydrase will do for you. This plant source enzyme has even been shown to reduce gluten related toxicity. 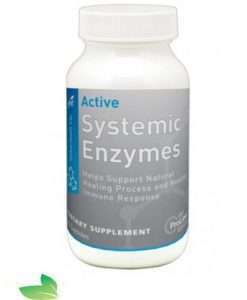 This is a combination of enzymes that helps the digestive system digest fats, cellulose, carbohydrates, and proteins. Beta-Glucanase, Phytase, Hemicellulase and Xylanase in combination will assist you in digesting grains and sugars. The substances in grains can bind some enzymes and greatly reduce your ability to use the nutrients in some foods. 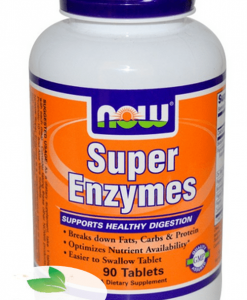 This enzyme combination increases your ability to use all nutrients. 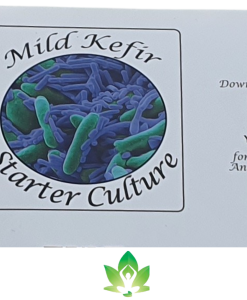 Probiotics (Lactobacillus, Biffidum and Longum) are essential for support of the immune system and proper function in the intestinal tract. 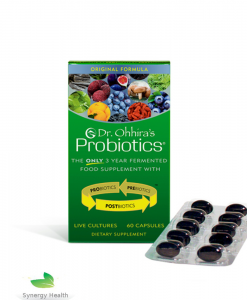 Probiotics assist in the formation of nutrients and hormones and help guard against unfriendly organisms gaining a foothold in the intestinal tract. 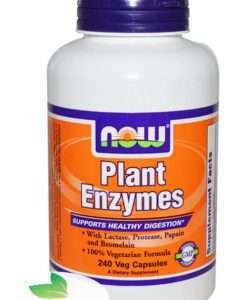 “Active Enzymes” will supply you with a wide range of powerful digestive enzymes, including cellulase (you’ll need cellulase to digest fruits and vegetables). Swallow one Active Enzymes capsule before, during or after a meal and you’ll notice the results right away.